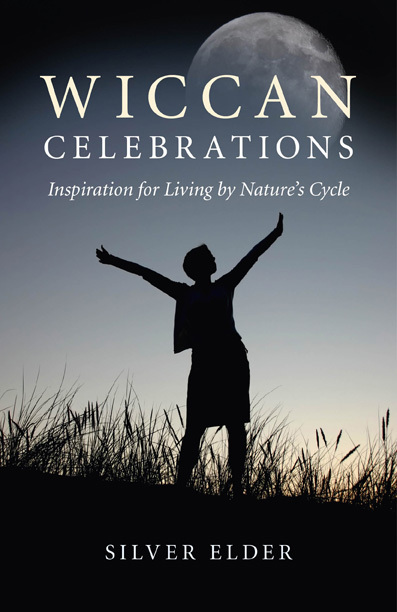 Last week I reviewed Wiccan Celebrations: Inspiration for Living by Nature’s Cycle. by Wiccan priestess and author Silver Elder. While I was reading the book I noticed that a lot of the rituals within it have words that are meant to be sung. Although the music is not included in the book, I wondered if it was available anywhere - perhaps online - and I emailed the publisher, O-Books, to ask. I quickly got a reply from Silver Elder herself. She said: "Many Thanks for your question! Yes, much of the work is ideally sung but, no, there is no music written for it, either in notation or tab format. Unfortunately, I am not able to play or write music though I was a member of a choir for a great many years and loved it. "The prose and verse to the rituals in Wiccan Celebrations I 'heard', complete with chorals, mantras and accompanying music. I tried to represent my experience of the music in the book as closely as I experienced it through meditation 'hearing' it. Of course I had to adapt the English usage where necessary. This is many ways a channeled work - and yes, I wish I could have given the staff notation as well! "The ideal would be if the pieces, where indicated, are sung, but that is not essential - if people are happier speaking the words, so they should. The goal is to reach a higher state of mind and a direct personal relationship with the concepts or deities referred to in the words. Whichever means achieves this is appropriate. "My experience is that different circumstances; Sabbats or Esbats, their location and atmosphere as well as how the members feel on the day influences how the rituals are performed. Obviously in the book I represented the ideal scenario, also because I am using the material to teach and educate about Wicca. "I have used many of these rituals in a teaching Grove. Regarding singing, there are always the bolder ones who are happy to improvise and lead the group generating a Grove or group energy. Singing and mantra singing/chanting is singular in its effectiveness to not only create this collective energy but also facilitate a direct personal link and empathy with deity. It also helps individuals overcome their shyness and build self esteem to engender a group trust. Above all, expressive and improvised singing helps form a stronger bond and experience with the concept or entity described in the words, through better visualization. "As explained in the book, all actions in combination with the words, colours, scents and tools collectively make the abstract more tangible, accessible and real. In this way, the rituals help to teach about Wicca. Singing makes the experience really come alive." I'd certainly like to thank Silver Elder very much for replying in such detail. I certainly agree that singing - whether you are improvising a tune or using a well-known chant - can help the magical experience within ritual. However, I hope that one day Silver Elder records the music she uses in her teaching Grove and makes it available to download.